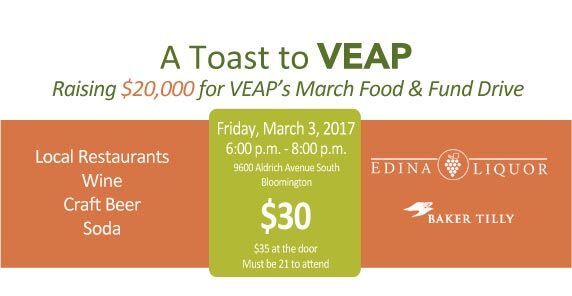 Join us to raise a glass and raise $20,000 for VEAP’s March Food & Fund Drive! Sample wine, craft beer and soda from Edina Liquor distributors and food from ten local restaurants. $30 in advance and $35 and the door. Must be 21 to attend.